I am a Certified Arvigo Therapist in Maya Abdominal Therapy® and certified in prenatal, deep-tissue and relaxation massage. 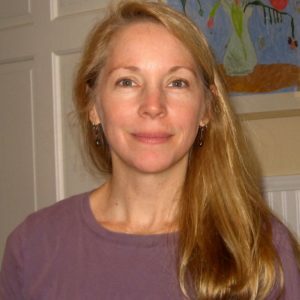 I completed my massage training at the Core Institute of massage and structural bodywork in 2000 and have a BA in Anthropology from UNC-Chapel Hill. My goal is to educate and empower each of my clients on their path of self- healing. I look forward to working with you on your journey. and women, as well as many common digestive disorders. The techniques effectively alleviate tissue congestion and organ constriction to improve the vital flows of energy, blood, lymph and nerves in the abdomen. It addresses and can release emotional and energetic tension from the abdomen. This assists to prevent the progression of chronic disease symptomology while improving the body’s ability toSELF REPAIR AND BALANCE. The Arvigo Techniques of Maya Abdominal Therapy ® support and enhance health and wellness throughout the life cycle for women, men, and children. Your practitioner will work with you to address your specific needs. Typically, 2-3 professional sessions (at a mini-mum) are required to address most conditions. Clients who perform their self-care massage on a routine basis report an improvement in their symptoms.